Over the last several years the number of CAD blogs, and blogs in general, have multiplied many times over. Back when there were only a handful of CAD sites worth visiting, it wasn’t too tough to manually visit each one on a periodic basis. These days that number has multiplied many times over, as there are a countless number of blogs worth visiting. One challenge that comes from so many great sites is keeping up with them all. Most modern-day blogs out there have what is known as an RSS Feed. By subscribing to the RSS feeds of the sites your frequent, you can be notified as those sites are updated with new content. A program or utility known as a "Feed Reader" is actually what will notify you of a new post. 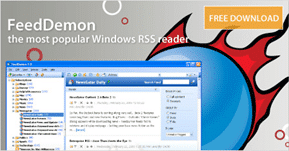 Read moreNewsGator & FeedDemon Now Free!